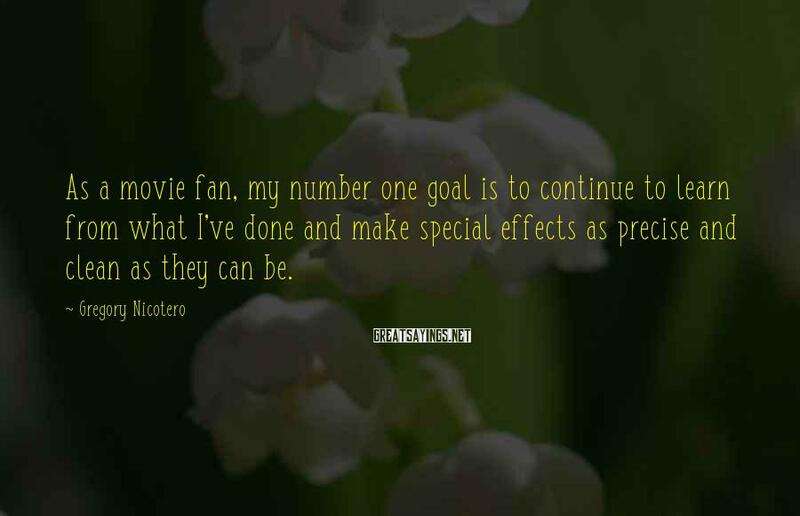 13 Gregory Nicotero Famous Sayings, Quotes and Quotation. 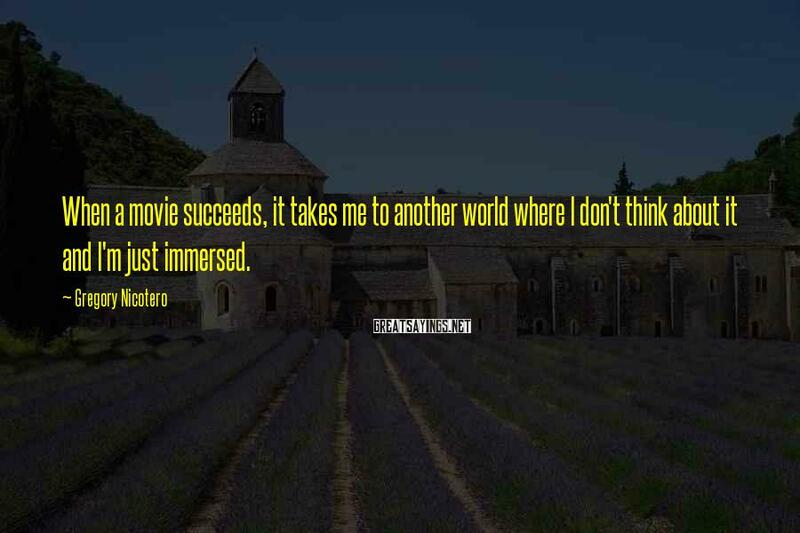 When a movie succeeds, it takes me to another world where I don't think about it and I'm just immersed. 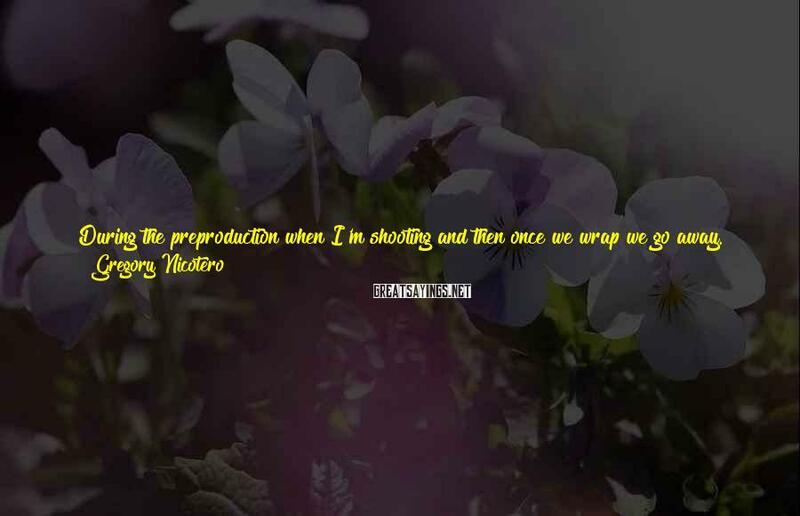 During the preproduction when I'm shooting and then once we wrap we go away. And then the visual effects guys take over. And then they add all those little bits and pieces. They come up with ideas during the cut in the editing, and they said while would be really cool if we did this thing here where the blade pops out. So then you see the movie and say wow that's a really neat idea. I wish we would have thought of that. 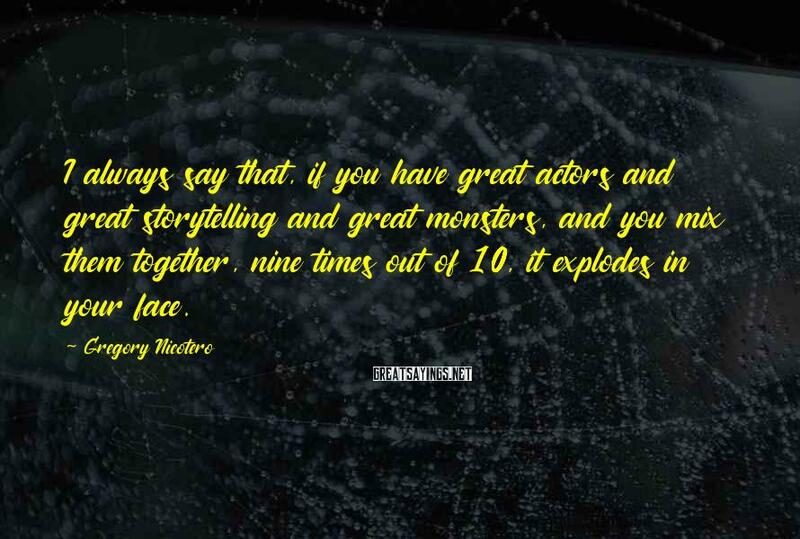 I always say that, if you have great actors and great storytelling and great monsters, and you mix them together, nine times out of 10, it explodes in your face. 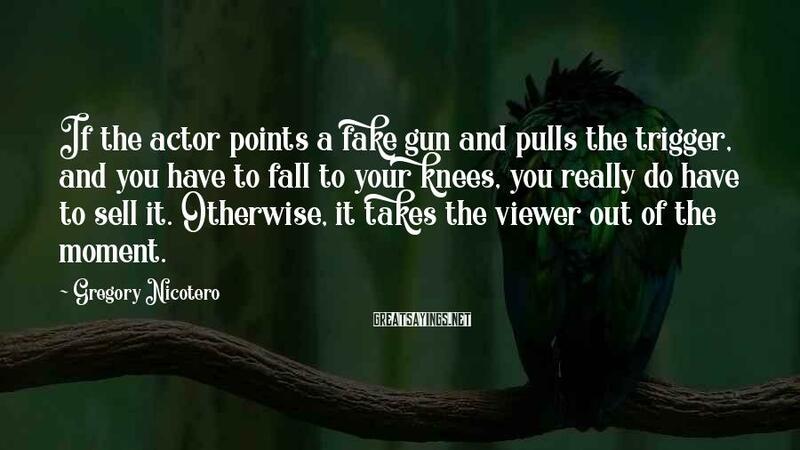 If the actor points a fake gun and pulls the trigger, and you have to fall to your knees, you really do have to sell it. Otherwise, it takes the viewer out of the moment. It's like when we get the transformer movies. 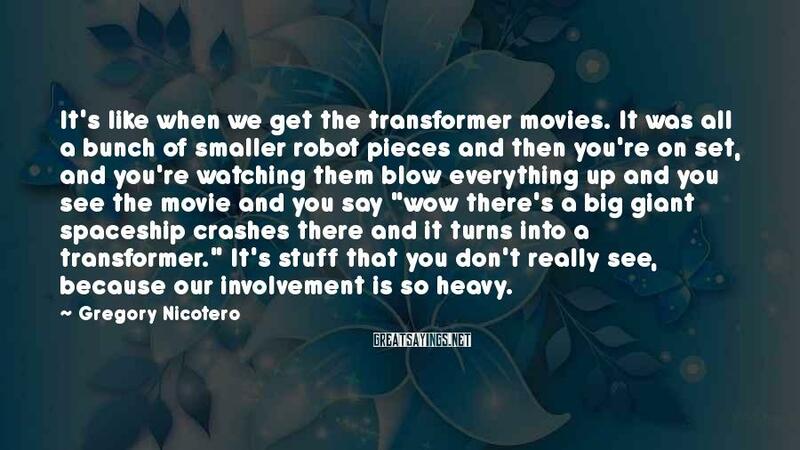 It was all a bunch of smaller robot pieces and then you're on set, and you're watching them blow everything up and you see the movie and you say "wow there's a big giant spaceship crashes there and it turns into a transformer." It's stuff that you don't really see, because our involvement is so heavy. I grew up really loving horror movies and genre movies. I was a big fan of Universal Monsters movies, read Famous Monsters magazine. I built monster models and creature effects. 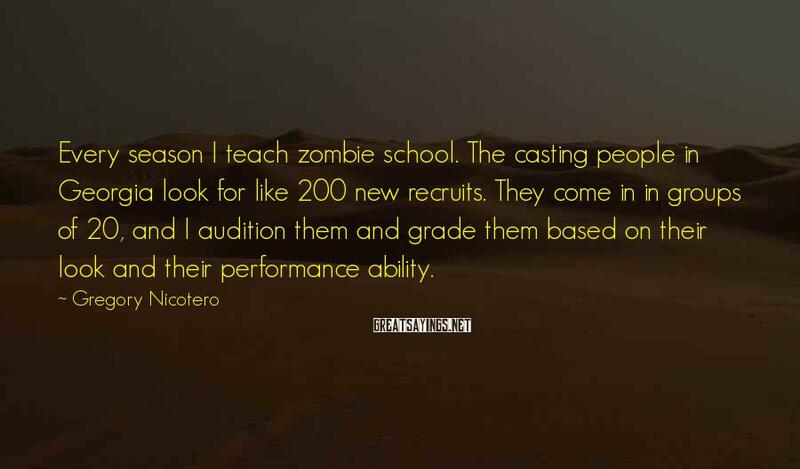 Every season I teach zombie school. The casting people in Georgia look for like 200 new recruits. They come in in groups of 20, and I audition them and grade them based on their look and their performance ability. 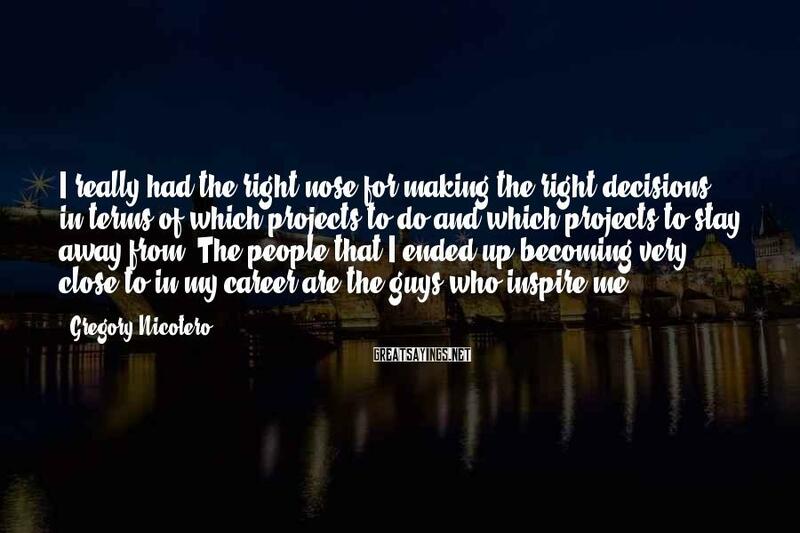 I really had the right nose for making the right decisions, in terms of which projects to do and which projects to stay away from. 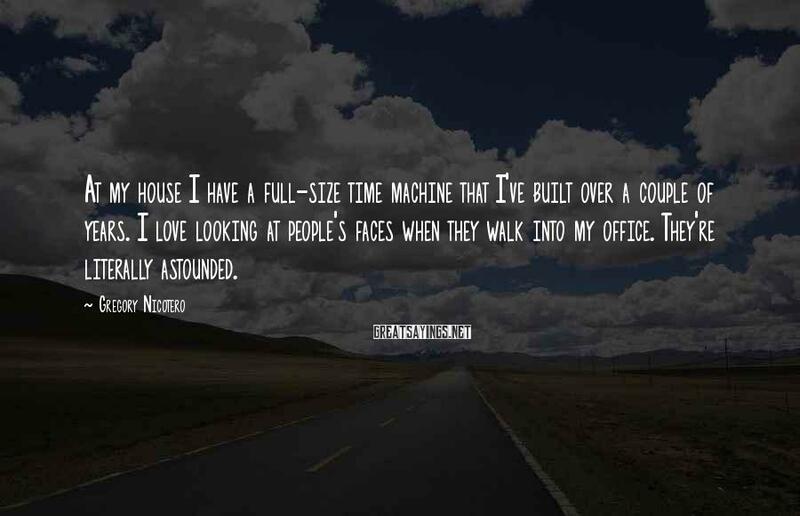 The people that I ended up becoming very close to in my career are the guys who inspire me. 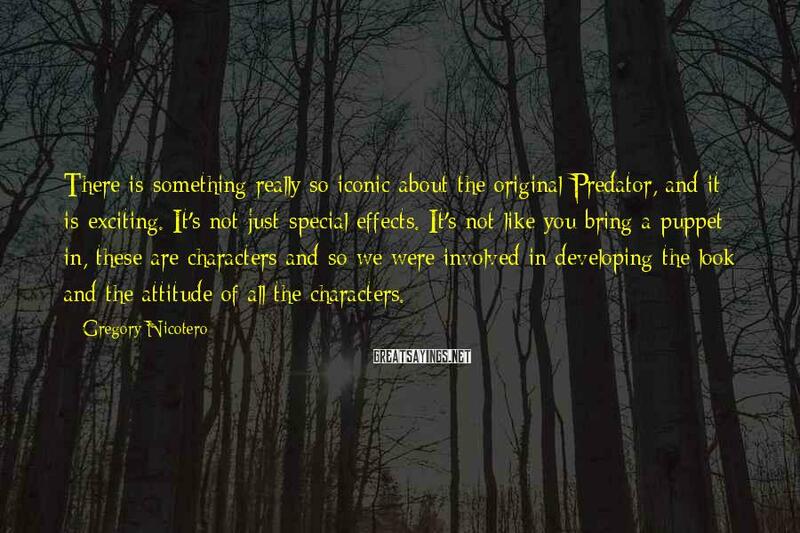 There is something really so iconic about the original Predator, and it is exciting. It's not just special effects. It's not like you bring a puppet in, these are characters and so we were involved in developing the look and the attitude of all the characters. I love the expression 'makes your skin crawl,' because when you have that sensation while you're watching something, it really does. 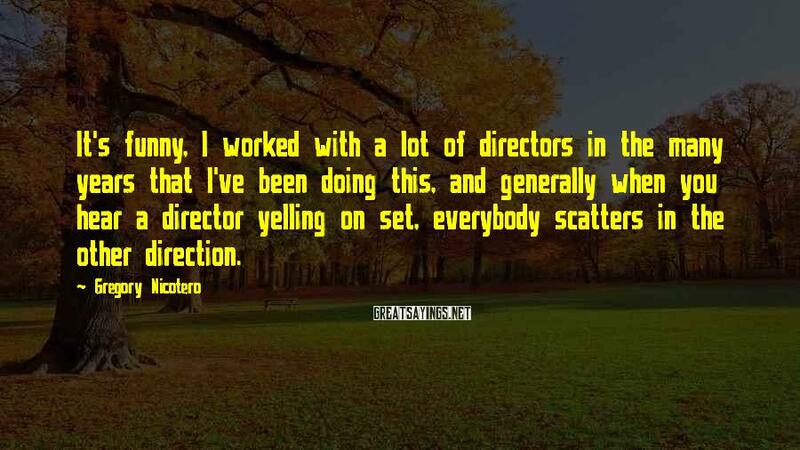 It's funny, I worked with a lot of directors in the many years that I've been doing this, and generally when you hear a director yelling on set, everybody scatters in the other direction.